Setting a budget is the first step (and highest priority) in your kitchen project. Determining your kitchen renovation costs is the starting point of your project. Once you have considered costs and established your budget, it is time to allocate funds to the specific details of the project. These days there are some savvy online resources to help you. HomeAdvisor.com is a leading provider of free tools and resources for home improvement projects. They offer a True Cost Guide tailored to individual projects by location. You can find this tool here. 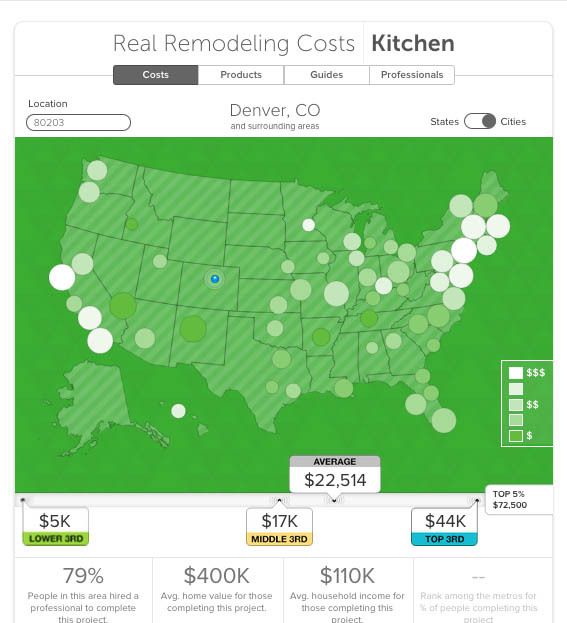 As one would expect, houzz has created a wonderful tool to help homeowners determine the cost of each project portion. You enter your zip code and you’re given costs from actual homeowners they surveyed in the lowest third of the spending spectrum, the middle third of the spectrum, and the top third as well as the money spent by the top 5% of the kitchen remodels. Find this here. And finally HGTV advises to set aside 20 percent of your budget to handle the unexpected. They offer 9 more steps to budgeting for your kitchen remodel here. The possibilities are endless, but for most of us the dollars are not. Luckily there are plenty of online resources out there to help guide us to successful and satisfying outcomes.